Your care and compassion will be appreciated by all who lay eyes on this radiant standing spray. 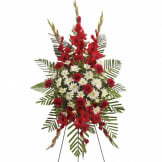 A variety of lovely vibrant red blossoms contrasted by vivid green of bells of Ireland will deliver your heartfelt condolences. 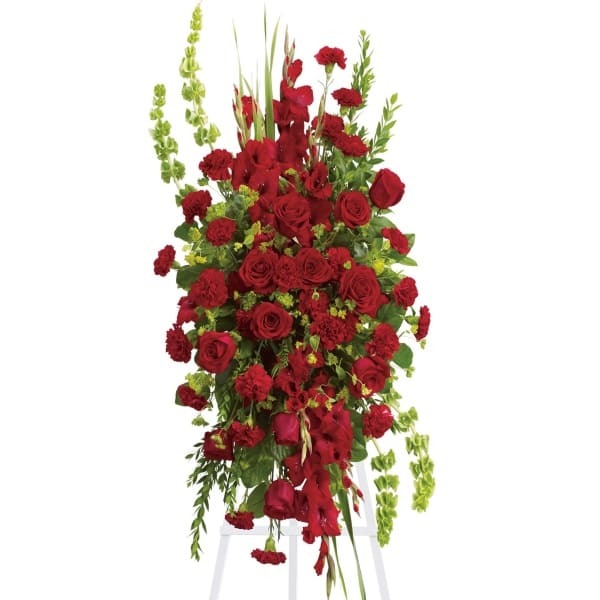 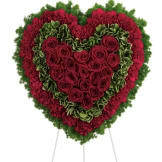 • Dazzling flowers such as red roses, gladioli and carnations along with bells of Ireland and other simple greenery create a spray that is both memorable and magical. 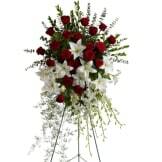 • This arrangement measures approximately 23" W X 46" H.
cannot beat the convenience of ordering from the home's website. 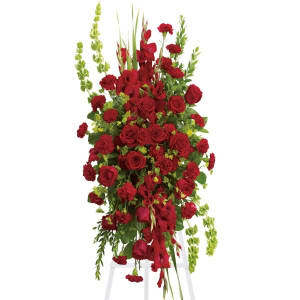 Could have had higher flower count considering the season, was about 2/3 the size pictured.